MORGANTOWN — Different eyes see many different angles and many minds can bring about several explanations. 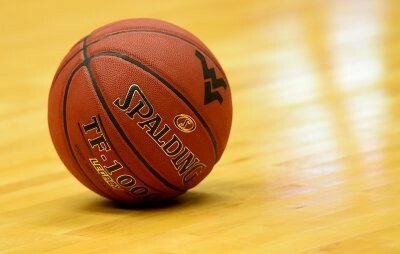 In truth, there was no one absolute thing that kept the 20th-ranked WVU women’s basketball team from pulling off an upset over No. 3 Baylor on Jan. 28, in front of a season-high 5,073 fans inside the WVU Coliseum. As it was, the Bears (19-1, 9-0 Big 12) kept pace in the first half and then wore down the Mountaineers (17-5, 5-5) in the fourth quarter for an 83-72 victory. The hows and whys of the outcome depended on the storyteller. “I thought we really executed our game plan, especially in the first half,” WVU head coach Mike Carey said. “We got in a little foul trouble. We got a little tired. Mulkey said Baylor’s ability to switch on every screen and still defend was the difference in keeping WVU scoreless over the final 4:29 of the game. There were other views, too, including that of WVU guard Naomi Davenport, who scored on a spin move in the paint with 4:29 left to cut Baylor’s lead to 75-72. Davenport mentioned guard Ashley Jones, but WVU guard Katrina Pardee and forward Kristina King also struggled to simply get off shots in the second half. And then there was the play of WVU forward Teana Muldrow, who scored 21 points, but had the added duty of guarding Baylor’s star 6-foot-7 center Kalani Brown on defense. Muldrow said she got a taste of guarding Brown some last season, but did it for an entire 40 minutes Sunday. Brown did not disappoint, using her size advantage to score 18 points and add 12 rebounds, but Muldrow said constantly working to defend against her didn’t hurt her offense. For three quarters, that’s what the Mountaineers did. Even with Baylor dominating the boards — Brown and teammate Lauren Cox combined for 26 rebounds, which was one more than WVU had — and hardly missing a shot after the first quarter, WVU nearly pulled off the upset. Muldrow tied the game at 70 with two free throws with 6:39 remaining, but then Kristy Wallace (25 points) answered with a 3-pointer in the corner and WVU ran out of answers and shots stopped falling. Muldrow missed on a 3-pointer and Davenport came up short ona drive to the basket. Pardee also missed a 3-pointer that could have brought the Mountaineers to within four points with just under three minutes to play.